Josef Wagner was guillotined in Berlin Plötzensee prison on 1 September 1943. Über die Vollstreckung des Urteils wurde Protokoll geführt: „Um 18.00 Uhr wurde der Verurteilte, die Hände auf dem Rücken gefesselt, durch zwei Gefängnisbeamte vorgeführt (...). Der Verurteilte, der ruhig und gefasst war, ließ sich ohne Widerstreben auf das Fallbeilgestell legen, worauf der Scharfrichter die Enthauptung mit dem Fallbeil ausführte und sodann meldete, dass das Urteil vollstreckt sei. Die Vollstreckung dauerte von der Vorführung bis zur Vollzugsmeldung 9 Sekunden. At 1 pm on September 1, 1943, Josef Wagner was informed in the Berlin-Plötzensee Detention Center by Public Prosecutor Jaager that he would be executed at 6 pm. He is allowed to write two more letters: to his wife Lena and daughter Maria and to his mother and siblings. He writes: "Now it's time for me to say goodbye forever. But do not worry. I die quietly and courageously. " The execution of the sentence was recorded: "At 6:00 pm, the convict, with his hands tied behind his back, was presented by two prison officials (...). The condemned man, calm and collected, was unhesitatingly placed on the fallbeil, whereupon the executioner carried out the decapitation with the fallbeil and then reported that the sentence was enforced. The execution took 9 seconds from the presentation to the act of execution. Between 1933 and 1936, 45 people were beheaded with an axe in the yard of Plötzensee prison. In 1937 a guillotine was secretly transported from Bruchsal prison to Plötzensee and installed in an execution shed. In 1937, 38 people were guillotined, in 1938 it was 55, and in 1939 it was 95. The executions in Plötzensee reached their peak in 1943 when 1180 people were executed there. This is not the original fallbeil. The original Brandenburg-Görden fallbeil was a Tegel type and it is presently located in Deutsches Historisches Museum in Berlin. A handwritten list of 15 of 19 people guillotined at Vienna Regional court on 30 March 1943. The list was written by the prison chaplain Eduard Kock. Note the time intevals between each execution. They are only 2 or 3 minutes, therefore very similar to times recorded by the executioner Alois Weiss in Pankrac prison execution book. The victim number 9 on the list is Helene Kafka, or Sister Restituta Kafka, the only nun beheaded by Hitler. Her body was buried in a mass grave in Vienna Central Cemetery, group 40. The authorities refused to allow her body to be buried by the nuns of her convent. 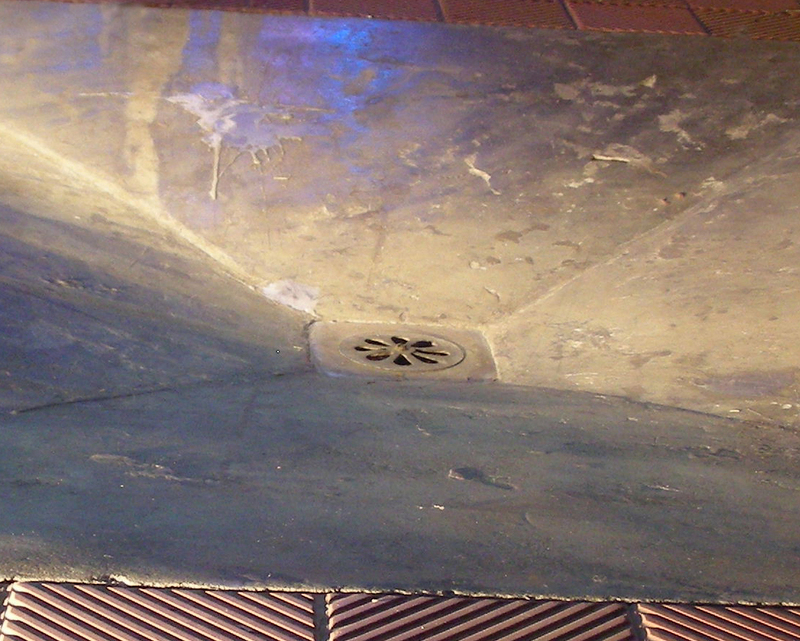 Fallbeil floor drain in the Vienna Regional Court former execution room. Blood of about 1200 beheaded people flowed down this drain. Last edited by Pete26 on 02 Aug 2018 15:16, edited 3 times in total. It is known that some executions were video footage about hanging. Did the same thing happen with the fallbeil condemned? It is quite possible that some fallbeil executions were photographed, or even filmed, however I was not able to find any such photographs or videos on internet or anywhere in literature. If such material still exists it is probably locked up somewhere in German archives and not shared with the public. On the other hand, quite a few photographs exist of authentic French guillotine executions, even an authentic video of the last public guillotine execution in France in 1939 of Eugen Weidmann. Check boisdejustice.com for many of such photos. Joseph Andreasi, born on 8 October 1920 in Milano, executed on 13 October 1944. Ambroise Piantoni, born 7 January 1924 in Dezensano/Bergamo, executed on 11 July 1944. Last edited by Pete26 on 08 Aug 2018 05:17, edited 3 times in total. Charlotte Garske was guillotined in Plötzensee prison on 16 December 1943. Anna Kraus was guillotined in Plötzensee prison on 5 August 1943. Alfred Schmidt-Sas was guillotined in Berlin Ploetzensee prison on 5 April 1943. 3 men and 13 women were guillotined in Ploetzensee prison on 5 August 1943. Note: Emil Hubner was the oldest prisoner executed in Ploetzensee prison (age 83). Frida Wesolek was his daughter and Stanislaus Wesolek was his son-in-law. I read that those condemned to death were brought to the guillotine wearing a disposable paper suit. Is there any picture that our this particular dress? This was only mentioned in several articles about certain execution sites. I think only very few execution site provided such clothing. I have not seen any photographs of such disposable clothing. in which execution sites is mention of this?